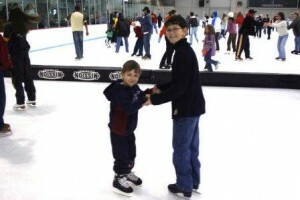 Embrace the chill of the winter season and venture out ice skating at one of several area locales. 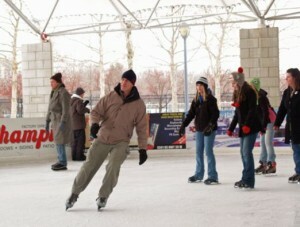 Perhaps most well-known is Fort Wayne&apos;s own outdoors Headwaters Park Ice Skating Rink. This cozy arena is located just north of downtown and provides a quiet spot for families, couples and friends to freshen up their skating skills. The rink is located at the corner of Clinton and Superior streets and the rink office can be reached at 260.422.7625. Hours are from 1 to 8 p.m. Monday through Thursday, 12 to 10 p.m. Fridays, 11 a.m. to 10 p.m. Saturdays and from noon to 8 p.m. Sundays. Children ages 13 and under skate free every Wednesday. Skate rental is $2 per person. The rink offers concessions, skate sharpening services and private ice rentals during non-public hours. Children 13 and under are admitted for $3 each, children ages 14 and older for $5 each (which includes adults). ~~~~~ The newest addition to the Fort Wayne ices skating scene is the indoor arena -- Canlan Ice Sports, located just north of downtown at 3869 Ice Way. This facility, which opened in 2010, is a state-of-the art multi-purpose entertainment center. Here you will find concessions, a full service restaurant and bar, restrooms, showers and locker rooms and more! Public skating hours here may vary, so don&apos;t be afraid to call ahead to 260.387.6614 to confirm. Open skate hours are typically from 11 a.m. to 2:20 p.m. Monday through Fridays with a $5 per person admission. Children under age 4 are always free. Skate rental is $3 per person. Friday night skating is offered from 8 to 11 p.m. Saturday and Sunday skating is from 1 to 4 p.m. Admission during those times are $7 per person and a $3 skate rental. 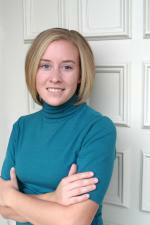 ~~~~~ And don&apos;t forget about the options at McMillen Arena, located at 3901 Abbott Street, on the city&apos;s south side. 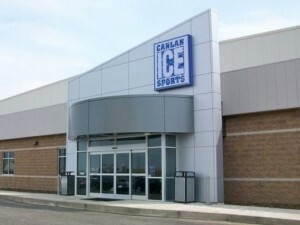 This facility is also being operated by Canlan Ice Sports. Hours of operation vary so call ahead to 260.427.6769 for details. Among these options you are sure to find a great way to enjoy time with the family this winter!